Flip Card...an easy to make card. 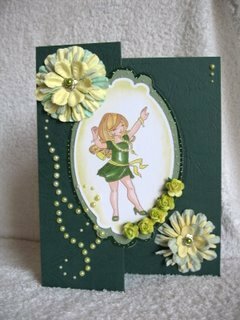 Do you like the idea of adding unusual styles to your cardmaking, but often can't be bothered to get down to all that measuring? Well! Let me show you how...because with this card you don't need to do any at all. This is another "No Measure" Card and it is easy to make. The Easy Stepper Card is another one that does not need a ruler to produce. This Tutorial is also in a short video format... Click Here. 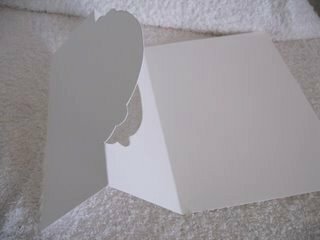 Fold your A4 in half to make an A5 cardblank. Take your topper and place it onto the left side, with the pretty side facing upwards. Position it so that it sits in the upper, center part of your card. 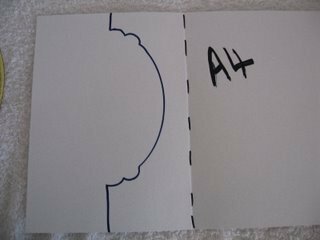 Draw around the right hand half of your topper, and don't worry these lines will not show on the finished card. And when you have done this your card should look like this, in whatever was the shape of your topper. 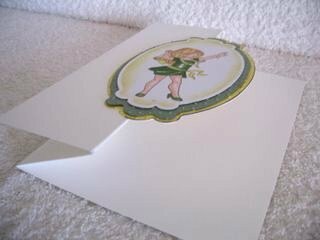 Open the card flat again and add your topper, carefully to this flip panel with double sided tape. 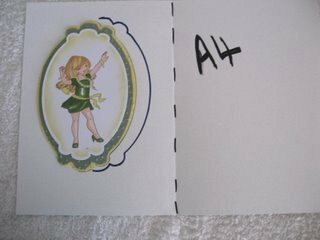 Dress the card as you wish, adding any Embellishments that you have in your stash. As usual I have gone with the flowers and the pearls, and the photo does not do these colors justice. 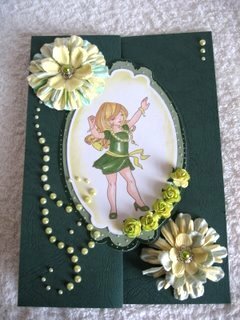 The card is a lovely dark green, leather look effect, and the pearls and flowers are pale yellow...Honest! Have fun with this Flip Card and think about showing us the results...please!